Dougherty Laser Vision (Westlake Village) - Book Appointment Online! 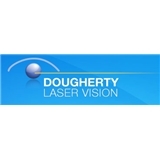 For more than a decade, Dougherty Laser Vision has brought the life-changing benefits of LASIK, corrective lens implants and other advanced vision correction techniques to people who demand the highest quality care. At our offices in Beverly Hills and Ventura County, we offer a wide range of treatment options, including LASIK, the Visian ICL implantable contact lens, cataract surgery, multifocal implantable lenses, toric implantable lenses, Softec HD interocular lens implant, and accommodating cataract replacement lens. Our wide range of treatment options ensures that each patient receives the most appropriate and personalized vision correction. Dougherty Laser Vision is now offering general ophthalmology including diabetic eye exams, glaucoma screenings, glaucoma laser treatment, and surgical retina.